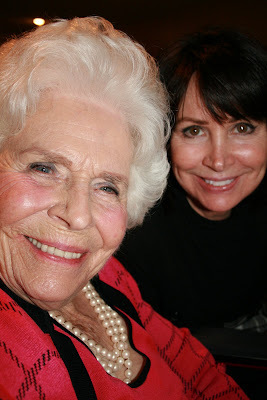 My mom, Paula, with her mother Lucile. My mother's family- the Johnson's, are a lot of fun...a lot of estrogen, a lot of brunettes, a lot of white teeth, a lot of drama, a lot of energy and a lot of love. I could go on for days with stories staring these lovely ladies. Maybe some day I will. 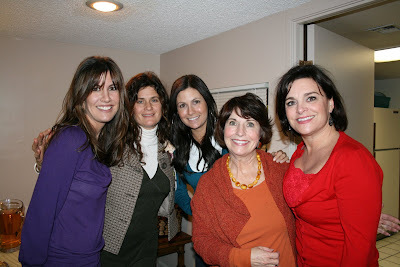 For now, here are pictures from our most recent get-together- Christy's wedding shower. 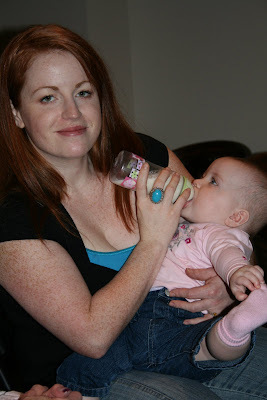 My cousin Michelle (My Mother's brother-Bart's, daughter), with her daughter (who has a name that I can neither spell nor pronounce. Think it's Celtic with some interesting meaning. Good luck to her with that one). 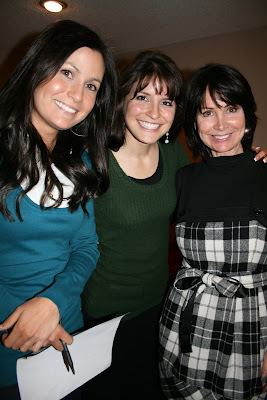 Kristen, my sister, with Christy (the bride-to-be) and my Mom Paula. Me, Jenny (married to my cousin Rob, who is "Cookie's son), Krissy-only I call her that (my sis), Colleen (whom I have called Aunt Cookie since I was a child), and my cousin Stephanie (Cookie's daughter). 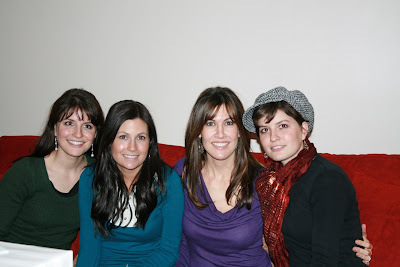 Christy, Kristen, me and Christy's twin sister April.